The Lake District is packed full of things to do, and is even better when you are with a group of friends and family who you can share and enjoy all that this incredible area of Cumbria has to offer. Booking accommodation where your whole group can stay is a wonderful way to appreciate the stunning surroundings you are in with your loved ones, and there are plenty of holiday homes, cottages and apartments available to rent with fantastic views of the glittering lakes, sky-high mountains and charming villages of Lakeland. Renting self-catering accommodation in the Lake District is the best way to experience this area at your own pace and is perfect for large groups. With fully-equipped kitchens and lots of choices to buy fresh, local produce, you can cook meals whenever you want and eat and relax in the comfort of your rented lodge surrounded by your loved ones. Some cottages that are available to rent even come with fixed BBQs in your own private garden so you can enjoy tasty and succulent food under the sun while you mingle with your group in the seclusion of your cottage lawn! 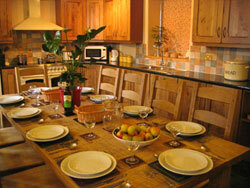 Take a look at some of the good quality self-catering accommodation for large groups in the Lake District. There are countless things to do for groups in the Lake District, from ten pin bowling in Workington to going on group nature trails and walks amongst the stunning scenery. Some of these trails will take you up the tallest mountain in England, Scafell Pike, and others will take you around the stunning lakes which give this area its name, such as Windermere, Buttermere and Derwent Water. There are also other places of stunning beauty to visit such as the gorgeous Aira Force Waterfall in Penrith. Aira Force is 65 feet tall and is set by bewitching forestry with rare red squirrels tottering about. This amazing scenery is wonderful for group picnics, where you can sit in the heart of nature and relax in a peaceful setting with great company. Castle in Ravenglass is great for big groups and families to visit due to the Muncaster Meadowvole Maze. Getting lost in this maze is a fun activity for the whole family, and children and adults alike will adore it!! This castle is steeped in history, dating back 800 years, and is said to be haunted. With a 70 acre garden with rows upon rows of pretty flowers, is also features the World Owl Centre, which lovers of birds of prey will be very interested to see. Canoeing, quad biking and archery are some other brilliant activities for groups to participate in, as well as cycling and horse riding. There is nothing better than braving the great outdoors in the Lake District, because there are not very many places which can be compared to it in terms of natural beauty, and spending time with your loved ones doing some fun and unique activities is the perfect way to have a great day out. There are plenty of opportunities to rent group accommodation in the Lake District, where your whole party can be together and enjoy the Lake District as a whole. You don’t have to separate the group to enjoy Lakeland, and you can keep everyone under one roof to experience one of the most stunning places that the UK has to offer.